Tapas Nandi is President of ITEMA Weaving (India) Private Limited. He has done Masters Degree in Management after completion of Degree in Textile Technology. 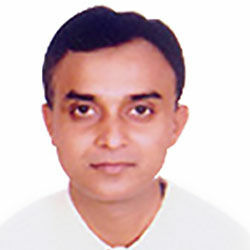 He is presently responsible for sales, service and marketing activity in India, Nepal and Sri Lanka for ITEMA. He has 23 years of experience in the Textile and Machinery industry. He has also presented technical papers in seminars, conferences and various institutions. ITEMA Weaving (India) Private Limited was formed on 1st January 2008 by merging Sultex (India) Private Limited with Promatech Division of Itema India Ltd. to look after sales, service and spare parts business of Promatech (Somet and Vamatex products), Sultex (Products) and Itema Shanghai assembled weaving machines. The merger has given synergy in sales and service activities of the company, which will benefit all the customers of Sultex, Vamatex and Somet. TT: How do you foresee the outlook of Technical Textiles Industry in India in 2012- 2013? There is no doubt that the outlook of Technical Textiles future in India is bright. With growth of economy, improved lifestyles, concern for safety and with focus on infrastructure development the demand of technical textiles is bound to increase in the country. Although the growth and investment so far was below the expectation, however it is going to increase in the medium to long term. The year 2012-2013 will definitely see more focus and investment in this sector, which is going to pay back faster than conventional textiles. Moreover, Technical textiles sector does not face slow down with recession as the applications are mainly in Infrastructure or for safety requirement. TT: What are the missing links for India in this field? Any recommendations to policy makers for enhancing the investment in this sector? I believe Government is doing its bit through awareness program, investment in research and nodal testing centres and subsidy through TUFS. I believe some legislation for application of Geotextiles in Road building, Railway projects and in combating soil erosion would help a lot. Lack of expertise in marketing and application of Technical Textiles is also responsible for less investment. However, we can overcome these weaknesses once we start using more and more technical fabrics.